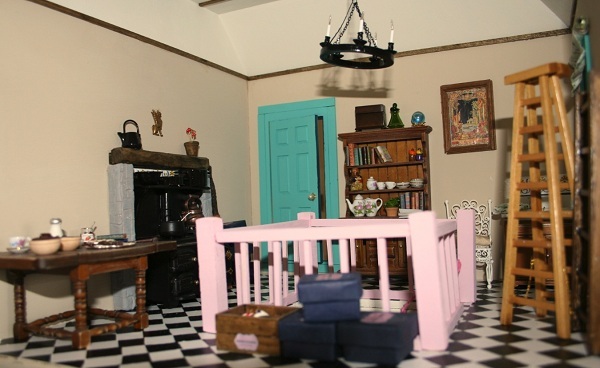 It’s time for some more doll’s house inspiration and this time we’re going a little bit magical! 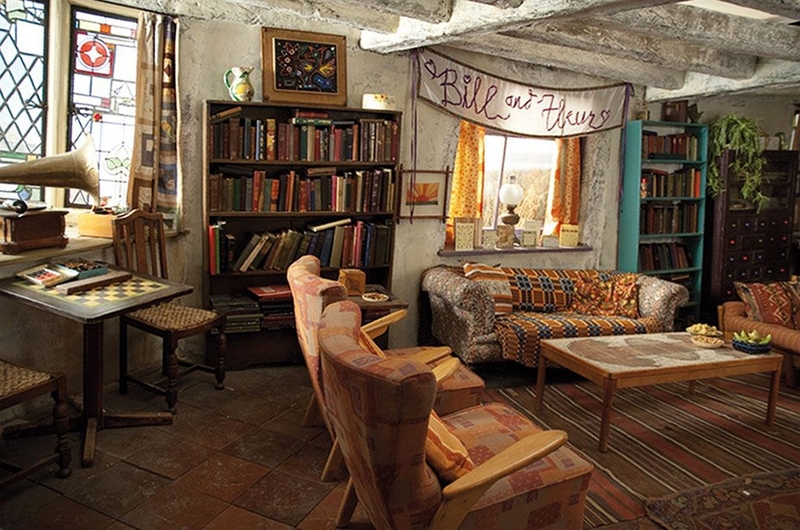 We’ve gathered together some beautiful images from the wonderful world of Harry Potter, from the incredibly cosy and homey ‘The Burrow’ home of the Weasley family, to the spellbinding shop of ‘Flourish and Blotts’. We hope they inspire you to create something enchanting! Off to see the Wizard? If you're one of those people who quite likes to create your own festive decorations, you'll love the ideas behind this Wizard of Oz Christmas Tree. 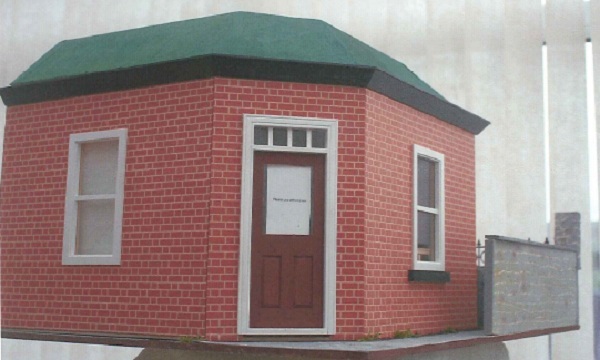 It's a miniature creation but has some superb elements taken from the Judy Garland film. Click through and take a look at the pictures: there's a flying monkey, a wicked witch, portraits of the stars - and more! It's the latest update on a blog that usually concentrates on Harry Potter themes, so could be well-worth a flick through the archives! 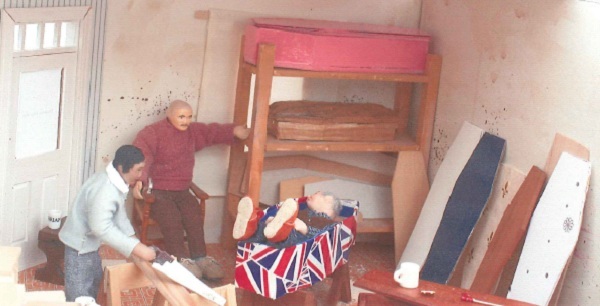 Here at The Dolls House Emporium we enjoyed the dark humour of this Creative Competition entry. Using The Corner Shop it was based around a coffin-maker and stone masons' workshop - with some of the workers trying the goods out for size! 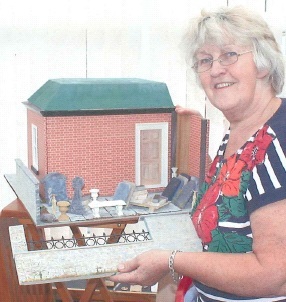 Ann Ashcroft, from Lancashire, gained inspiration from making Harry Potter-type miniatures for her grandsons. 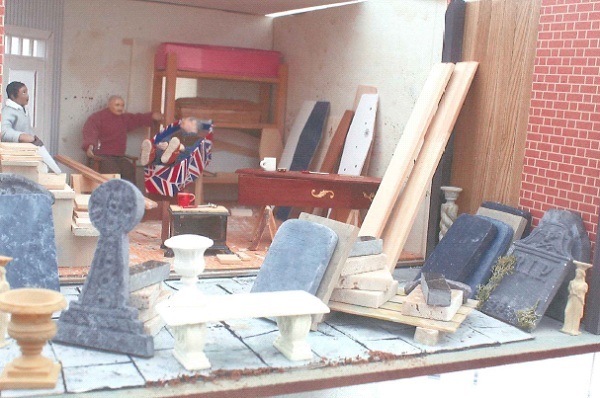 Ann says: "All the family had an input in my coffin makers/stone yard. "My seven-year-old grandson did the stippling on the wall, my grand-daughters doing the graffiti on the back wall. We all had a lot of fun and lots of laughs. "The coffins are made from wood, cardboard, balsa wood and bass wood, as are the gravestones. "Small pieces of stone were in the reduced tin at the local DIY store. "In all it hasn't cost very much but provided hours of fun during the wet summer holidays." 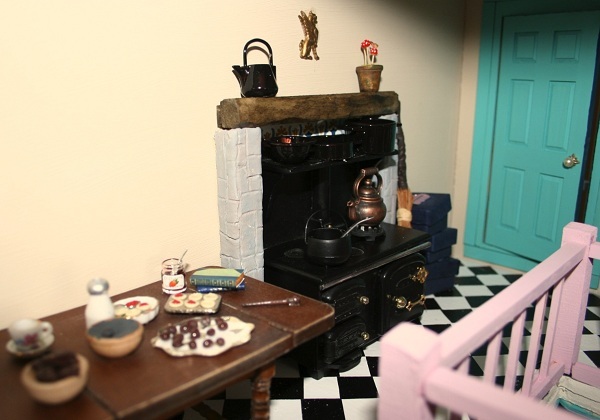 Honeydukes sweetshop - in 1/12th scale! 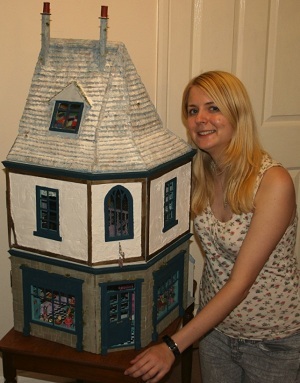 Harry Potter fan Elizabeth Hamlet combined several of her interests to come up with her Creative Competition entry. 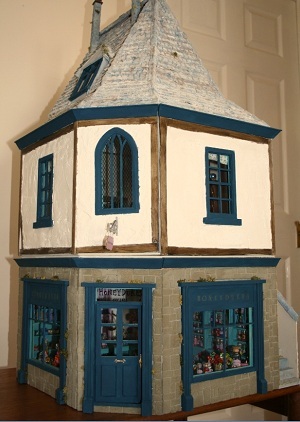 Elizabeth, who's 22 and from Essex, says: "I created my own version of the Honeydukes sweetshop from the Harry Potter series. 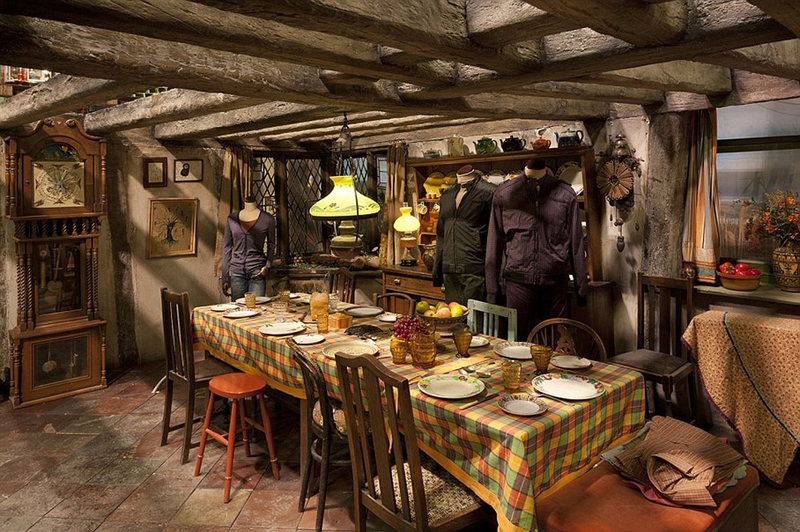 Honeydukes is situated in the village of Hogsmeade, just outside of Hogwarts. 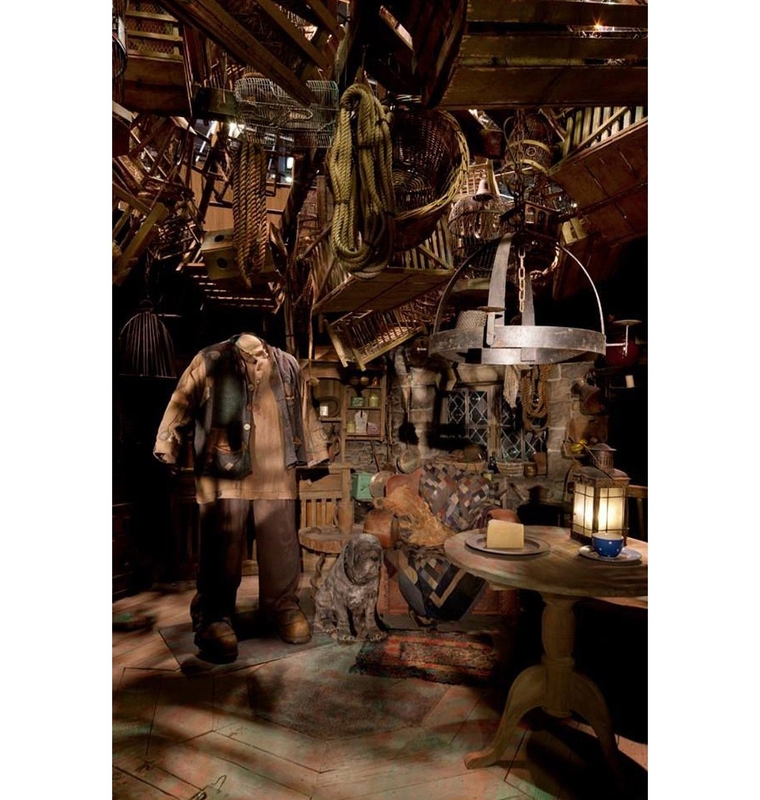 "My inspiration as well of the books, included a visit to the Wizarding World of Harry Potter in Florida at Universal's Islands of Adventure, where I bought sweets from their real sized Honeydukes sweetshop! 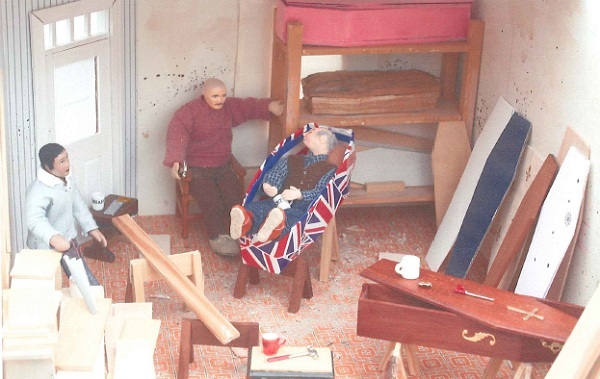 "I have been into the hobby since I was 12 and have several dolls houses, but this was my most ambitious project. 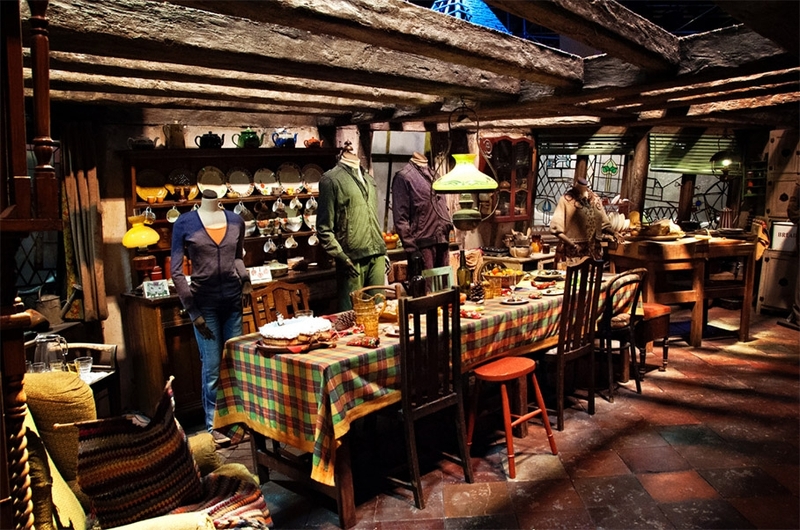 I am a huge Harry Potter fan, so obviously when I saw that the kit was a shop, I had many ideas, but this was my favourite one." "The shop itself was really fun to create," she said. "I spent hours making sweets for it out of polymer clay. Chocolates, fudge, lollies, candy canes etc. "I filled over 50 jars with clay, foil paper and beads. Though there are a few shop/fair bought sweets included too. I spent hours creating mini boxes of chocolate frogs, Bertie Bott's every flavour beans and Peppermint toads after scanning the boxes of the real sized ones I bought in Florida, scaling down and printing, sticking the card and gluing together. "I printed chocolate bar wrappers and used foil and cardboard to make the bars. I also designed a logo on the computer and printed onto label paper in different sizes to stick to jars etc. in the shop. "Much of the furniture is bought and painted/customised. 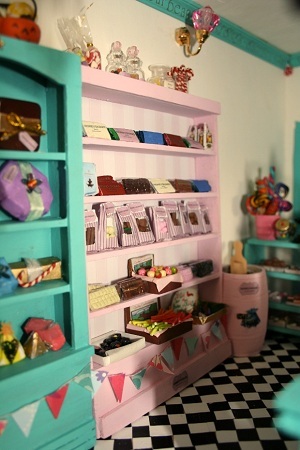 But the window shelves and till/chocolate counter are made from balsa wood. The chocolate counter was one of my favourite things to create. "I begged my friends on Facebook to give me old disused eye shadows and used the empty trays to fill with chocolates, fudge, coconut ice, cakes and chocolate covered strawberries - the strawberries were made by my best friend Rachel." "I have learnt many new skills and techniques while working on my shop. "Firstly I did quite a bit of kit bashing, and given that my woodworking skills are not that good I was surprised and pleased with the overall result. 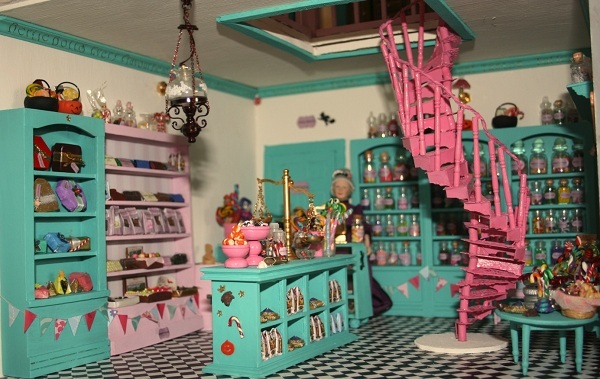 I cut the extra hole between floors to accommodate the spiral staircase and a galleried view of the shop. "The spiral staircase was so challenging and I almost gave up. I created it from a wooden fan, wooden dowel, spindles and twisted garden wire. It got my wonky as it got taller, but ultimately I am pleased with the result and I feel it adds character! I spray painted it pink to match the rest of the shop." 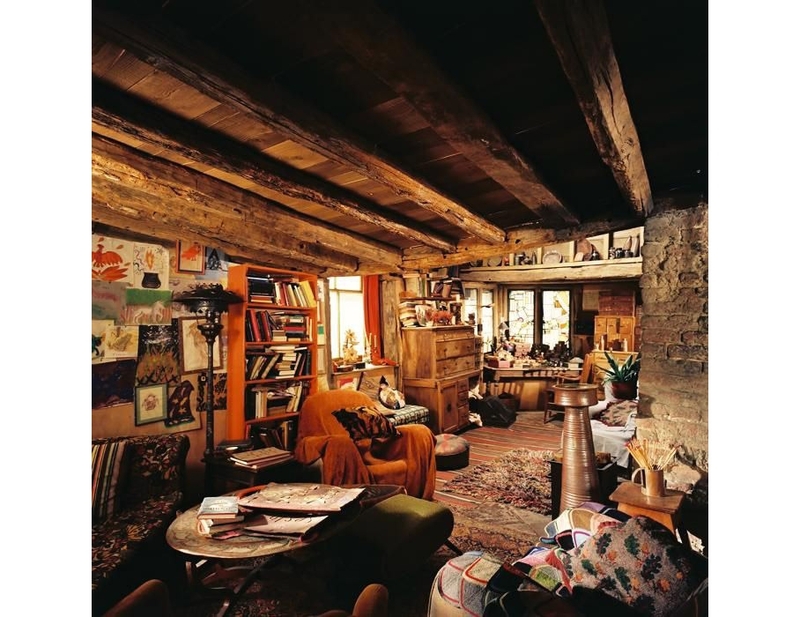 "The second floor is the kitchen where the chocolates and fudge are prepared. I had to try and think like a witch. 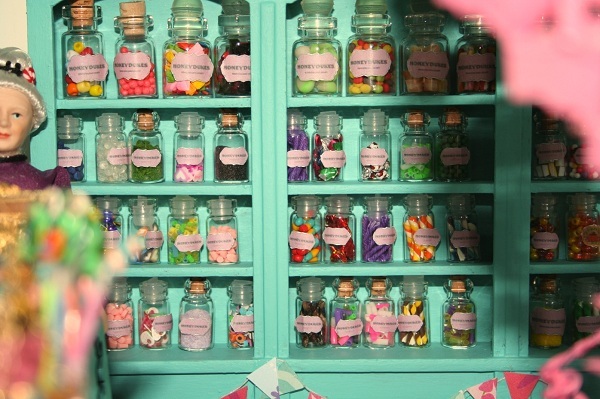 "How could magic be used to create sweets? Obviously a cauldron would be needed. With no electricity, no fridge could be included so any chilling of treats would be done with a spell. "Both the shop and second floor tiles were made using coloured sticky back plastic cut into tile shapes. 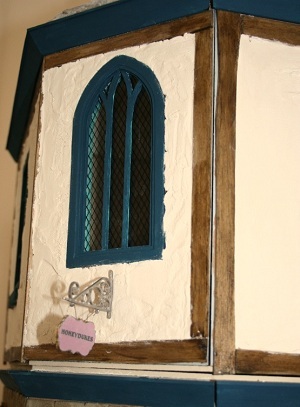 Some stock is waiting to be taken downstairs in boxes (which are Dolls house Emporium plate boxes with labels). 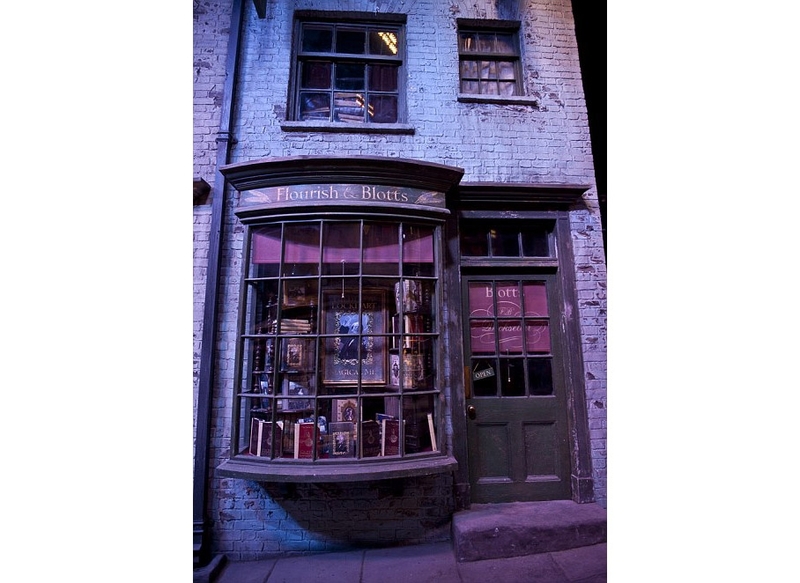 Obviously the shop owners would cast Wingardium Leviosa the gently lift the boxes through the hole to the shop, rather than carrying them down the staircase!" "The roof took well over 20 hours the complete. Firstly cutting and sanding the wood. Then constructing it, filling cracks and painting in the inside. I created the chimneys from wood, then use egg cartons and acrylic paint to create stone effect. "Then next came the creation of the paper clay roof. I am a big fan Rik Pierce and his paper clay work so when I got a magazine with a tutorial on how to create his beautiful roofs, I decided my project needed this technique. 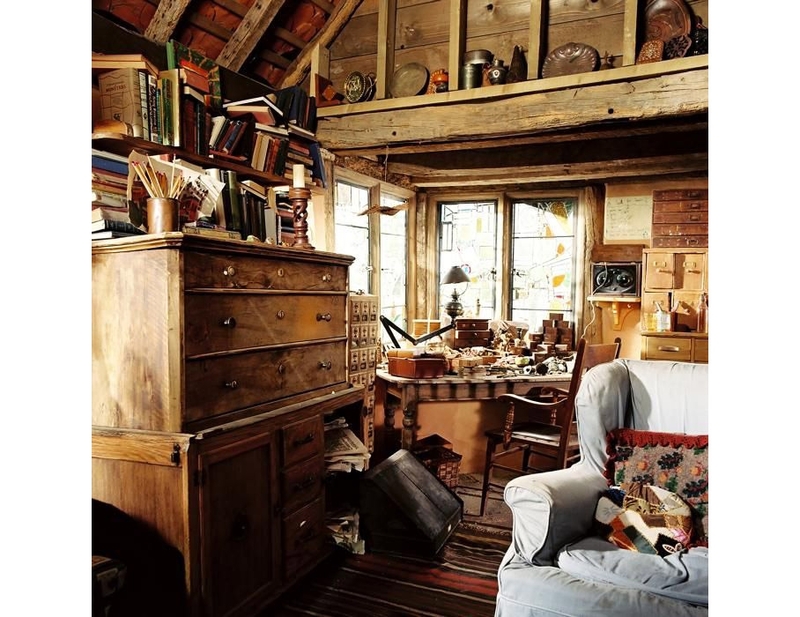 "On the third floor in the attic is the living quarters of the shop owners accessed via a ladder. The floor is made from a vinyl tile. 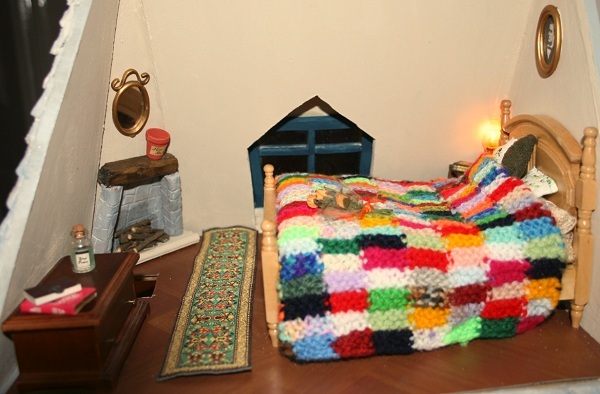 The knitted patchwork quilt was a gift made by an aunt that passed away a few years ago. I have been looking for a home for it since I received it and I think this is the best place for it." Here is Elizabeth with her masterpiece! 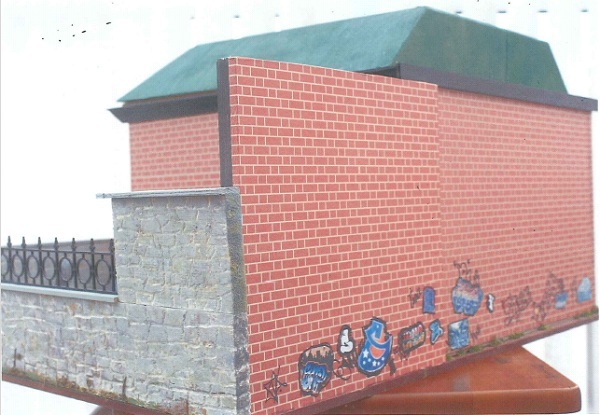 The judges particularly loved her roof so the hours spent on it were really worthwhile! She added: "I was also inspired by the films a bit but mainly of my own imagination. 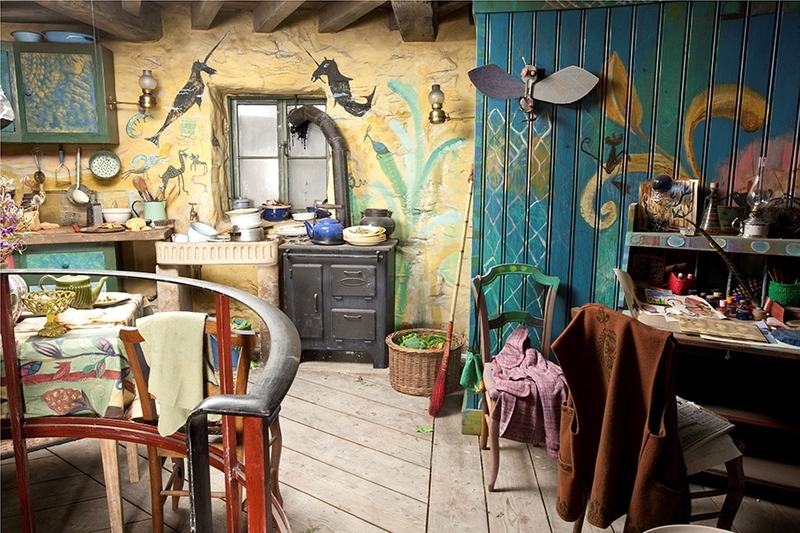 "I decided early on, though I would take some inspiration from these places, such as he colour scheme and roof with snow (Film and Florida), and spiral staircase (Florida's shop), I also wanted to make it my own. Some of what I did in the shop was because I owned some of the items already. 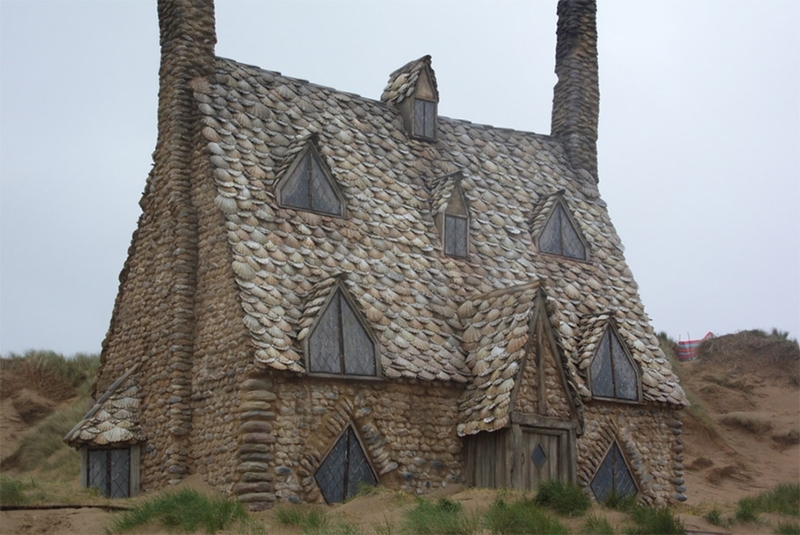 "I would try and think of ways for them to be included in the shop, which is kind of why I have used a mixture of techniques, especially on the outside of the shop (Gothic window, stonework) I like this mixed effect as I can justify that anything is "possible" in a magical world." If Slug and Jiggers sounds to you like an unfortunate medical condition, then you are obviously not a Harry Potter fan. 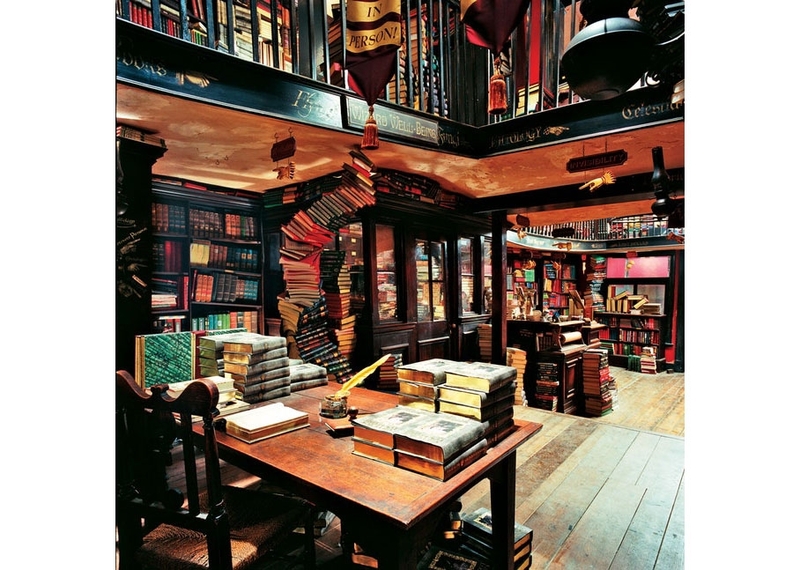 If you are, then you will recognise the name of one of Diagon Alley’s magical establishments which trades as an apothecary. If you take a look at the item in question, then you’re likely to be equally impressed by the incredible detail that makes it a real labour of love. 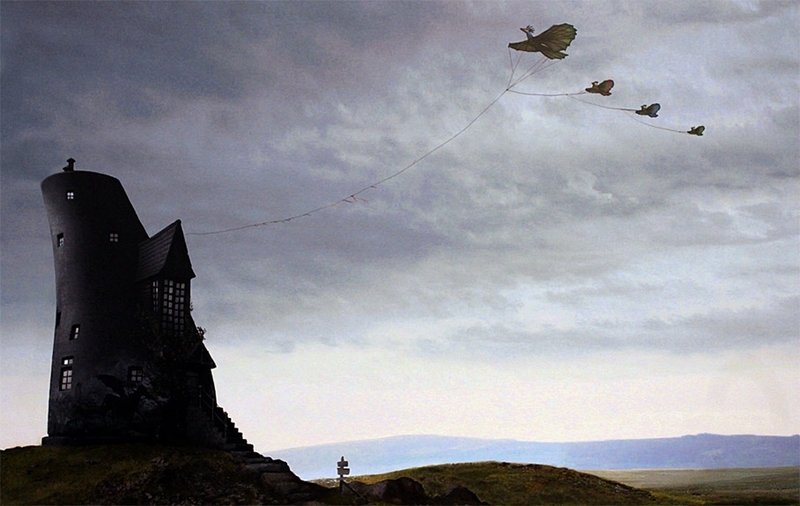 But perhaps the best description, given its Harry Potter inspiration, is that it’s simply magical.